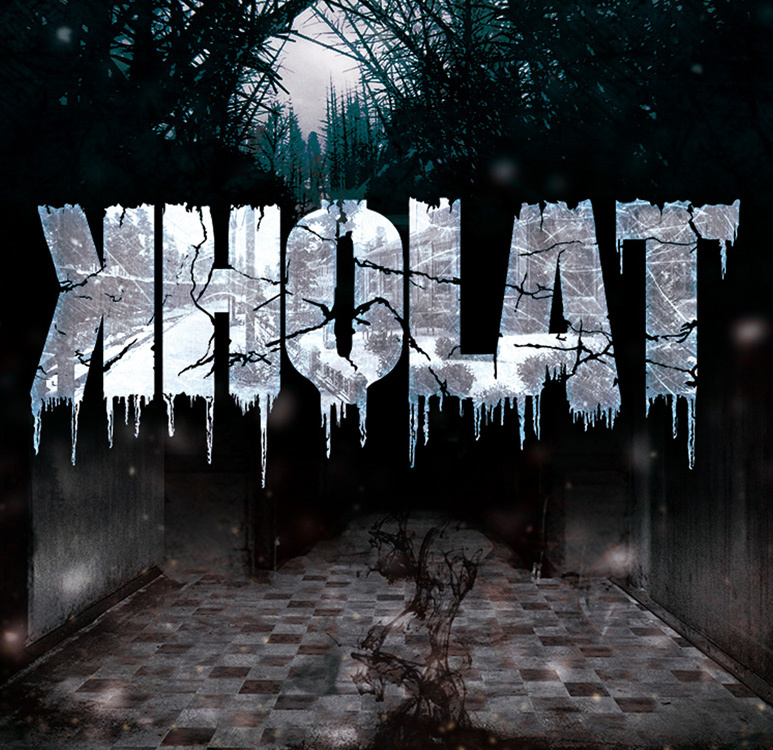 Kholat is available on the Microsoft Store for $19.99. A couple years ago, I found a website called Pinterest Fail, where people posted their attempts to mimic projects they found on Pinterest. The premise is simple: terrific ideas, but less-than-stellar executions. Be it the fault of the creator or the design, the end results on many of the projects bear a semblance of what their creators sought out to make, but somewhere along the way, something went terribly wrong. 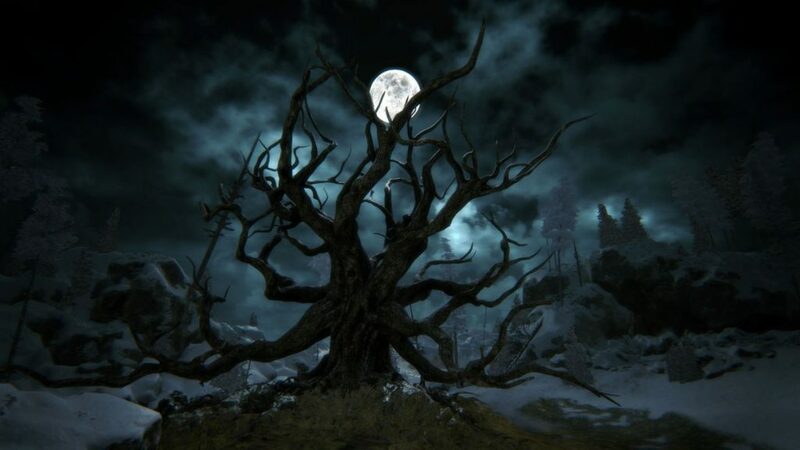 As I sit through playing Kholat, a horror exploration game from IMGN.PRO, I can’t help but feel a bit of deja vu. 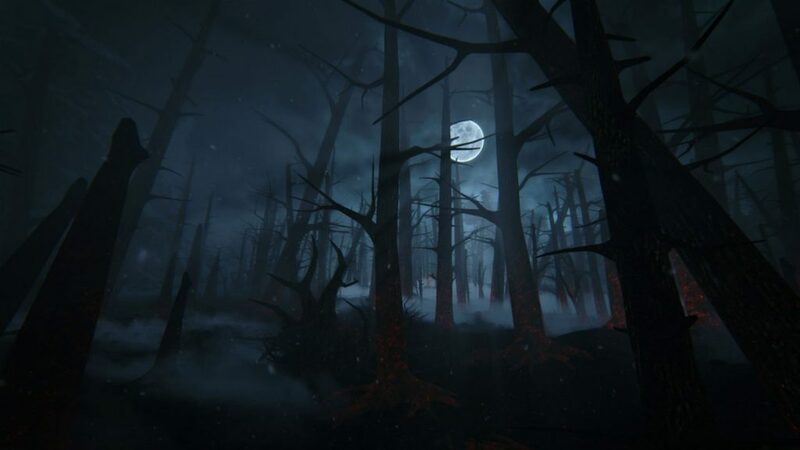 It’s not that Kholat is a bad game, per se; there’s quite a lot to like about it. Unfortunately, all of its great content is wrapped up in a presentation marred by extremely frustrating gameplay and questionable design choices. Based upon an actual historical event, in which nine ski hikers mysteriously died in the Ural Mountains in 1959, the player controls the protagonist, who arrives on site and begins re-tracing the steps of the hikers. 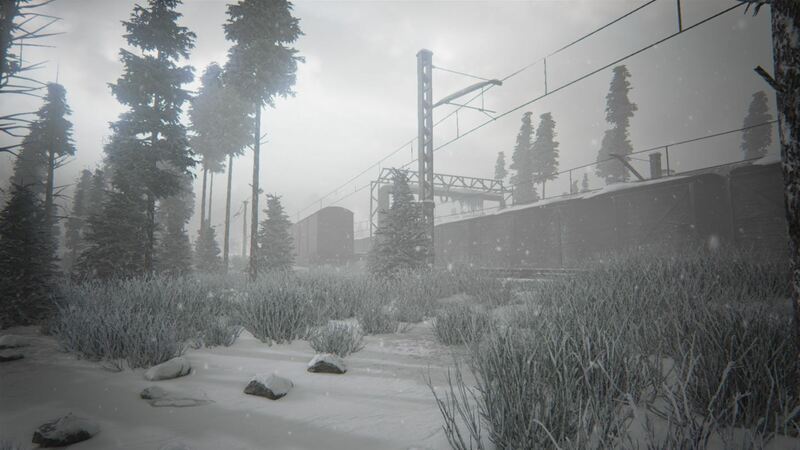 After first arriving at the train station, the player gets caught in a snow storm, just barely stumbling upon one of the tents set up by the hikers. Finding a map, a compass, and a flashlight, the rest of the game is up to the player to discover. As we find out quickly, the deaths of the hikers weren’t from entirely natural causes. It’s a minimalistic approach that is either brilliant or breathtakingly frustrating, or even both at times. Since there’s no automap (a feature that’s practically become standard in open-world games), the player has to rely on the map and compass. Sure, it lends itself to a bit more realism that’ll appeal to some, but it’ll also infuriate others who simply want to play the game, rather than wander around because they don’t actually know where they are 90% of the time. As the player progresses and finds additional sites and locales that contain notes with additional information about what happened, they discover additional tents that serve as save points and fast-travel nodes. My advice is to find these as soon as possible, because the ability to individually save your game is completely lacking from the game. This was probably my biggest gripe. Traveling through the game can mean you may go 20-30 minutes between saves, and if you die, you have to go all the way back to the last auto save. I will fully admit that I rage-quit a few times after dying simply because I didn’t want to deal with re-tracing my steps, especially since it took me so long to wander and finally find my way. Of course, this also wouldn’t be a huge issue if your character were able to move quickly, but again, for the sake of realism, you find yourself having to walk the vast majority of the time, with only brief moments of sprinting allowed before you have to catch your breath. I presume this was done because the game is set in a high-altitude location with relatively low oxygen levels, but beyond that, the game also removes the player’s ability to jump or even climb rocks that are a foot tall, and you also can’t climb precipices, even a small cliff that’s a couple of feet high. You don’t actually see your limbs in the game, but I presume that the protagonist has actual hands and doesn’t just have a flashlight attached to a stump. I cannot confirm this, though. Now…having said that, if you can look past its faults, there is actually a good storyline with a decent amount of atmosphere to discover. 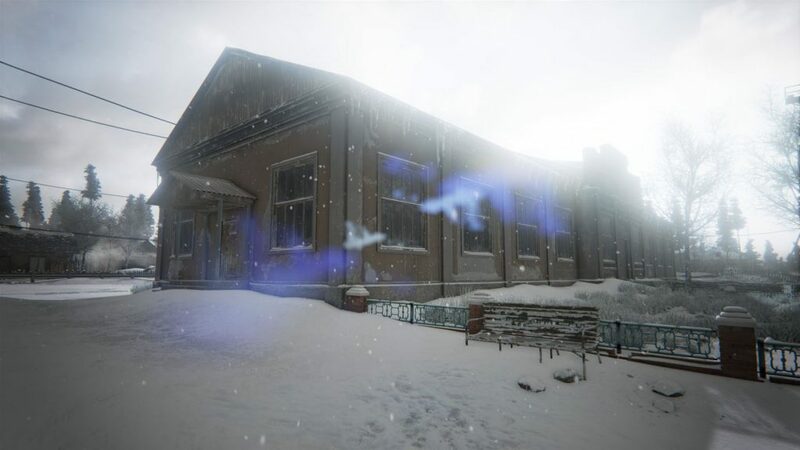 The blinding snow creates for a claustrophobic feeling at times, and when you experience paranormal encounters, there’s a genuine sense of tension, as the game lacks a combat mechanism and your only options are to either flee or hide. As I discovered the story piece by piece, I felt a real sense of curiosity propelling me to find the next note. Sean Bean provides narration, and his voice is superb. His smooth, calming tones overlaid against impending moments of dread are a bit unsettling, and I applaud the developers for their choice of narrators. I do have to say, though, that once I got to the end, I feel like I had more questions than answers. I think the writer and developers did it intentionally, to A) encourage discussion amongst players about their interpretation of what happened in the game and B) encourage another replay. I discovered that if you manage to collect all the notes throughout the game, there is a bit of a different ending that sheds some more light on what happened, but it also manages to use that light to cast even more shadows of doubt on what happened. It’s a relatively short game (4-6 hours), and if you enjoy the game, it’s highly recommended that you play through it again in case you don’t complete it 100% the first time through. Overall, Kholat is a game with a fantastic premise, but the vision is marred by the presentation. For being a two-year old game, the graphics still hold up reasonably well, but the engine underneath tends to have horsepower issues. I enjoyed the game a good amount, but at the same time, I found myself more frustrated with it than any game in recent memory. Still, if you’re looking for a game with a suspenseful atmosphere and have a solid amount of patience, it’s a trip you might find worth taking. Born in South Korea, Steve came to the US when he was three months old and has lived in St. Louis for the majority of his life. Of course, he naturally took a liking to the Cardinals, Blues, and thin-crust pizza. On the weekends, he can be found spending time with his friends, watching sports, or playing with his niece. Baseball, scotch, beer, guitar, softball, and drawing are among his many varied interests. Steve also has giant calves. E-mail: SteveK [at] ReviewSTL.com.